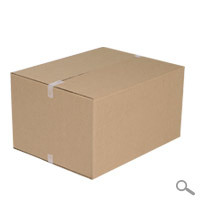 Very strong removal box ideal for items e.g. videos, DVDs, CD, cassette tapes, cutlery, electronic games, toys, ornaments with bubble wrap. L 395 x W 310 x H 215mm L 16" x W 12" x H 8"